As a board member, you always have one eye turned towards the financials. There is a large amount of pressure put on new and aspiring board members to be financially literate. This often overwhelms those of us who do not have a ‘finance’ background. Fortunately, every board member is not expected to be a professional accountant, CA, CPA or tax expert. You do; however, have to have a certain level of proficiency when it comes to reading, analysing, and interpreting the financial information of the organisation you govern. This level of proficiency is gained over time, and it’s best to start now if you think this is an area where you need to build out your boardroom skillset. Here are some ways that you can get financially familiar, even if you’re yet to get on a board. I know this may seem like a strange place to start, but from my experience, it is the right place to start if you have had zero exposure to the financial side of an organisation (that’s most of us, right?!). Taking the time to understand things like double-entry bookkeeping, cash vs. accrual accounting methods, and the equation: owners equity = assets – liabilities, helps you to understand how the numbers come to be on the financial statements and what they are telling you. Think of it like the foundation that you use to build your financial knowledge house upon. Miss this step, and you’ll take much longer to grasp more sophisticated financial and accounting concepts. The best way to learn this is by purchasing a first-year university accounting textbook, reading the theory and doing the quizzes and tests to check your knowledge. This textbook here is the current version of the textbook I used in two of my university accounting subjects (as part of my business degree). It is fully online so is very handy when it comes to reading and doing the knowledge tests (which I strongly encourage you to do). And it’s only $75, which is a bargain for the amount of knowledge you will gain. If you want to go to the next level, consider enrolling into a first-year accounting subject at a university. That is, however, a far more involved and costly experience. But some people would prefer a more structured time-bound learning experience, so this may be an option for you if you’re looking for that. I actually do this often when I come across a curly finance-related question that has me stumped. And it really helps. I’ve been doing this before I read about it in this Harvard Business Review article [a highly recommended read] and think you should consider getting yourself a ‘financial mentor’; someone who you trust – and is independent to the board you sit on – that you can get in touch with when you have a question about the financials of your board. On top of that, to get well-rounded exposure to the finances of organisations, ask your finance / accounting person at your workplace to talk you through how they do what they do with the numbers. You may consider shadowing them for a day or two to get an understanding of how that part of an organisation works. If you see them do the daily bookkeeping and then producing a monthly financial statement, you will get a good understanding of the mechanics of accounting in a workplace. You can also ask your manager to help you to understand how your role influences the finances of the organisation. How does what you do impact the finances of the organisation – are you a ‘profit centre’ (an income/revenue generator) or are you a ‘cost centre’ (an expense to the organisation)? 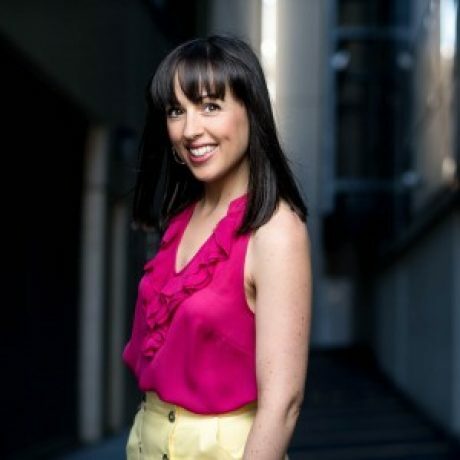 How is your revenue/expense recognised (e.g. cash vs. accrual), and how and where does it show on the financial statements? If you’re on a board, consider also sitting with the finance person of the organisation you govern and talk to them about the finances of the organisation: how do they recognise revenue, how are the various financial duties segregated, how are reports prepared, where is the chart of accounts, etc., etc. 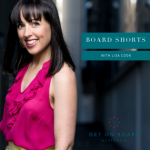 This will help to expedite your learning and understanding of your board’s finances, particularly if you’re new to the board. Each time you receive a financial report, ask as many questions as you need to further your understanding and comfort with the reports. If it helps to send a list of your questions to the Board Chair before a meeting, then do that. You want to learn and be comfortable with the financial information you are receiving, but you don’t want to unnecessarily hold up the meeting. If you appropriately probe and ask meaningful questions about the finances, you may be asked to be part of the finance and/or audit committee. I recommend going for it! Provided you have someone who is a qualified finance person (e.g. a CPA or CA) also sitting on the committee. It’s a great place for you to ask more questions and learn a lot from really clever ‘numbers people’ – it’s a great way to learn on the job and to test your knowledge. Doing the above will get you well established in your board career. As you progress to larger, more complex organisations, then it will be time to more heavily invest into further building your financial acumen by undertaking formal courses on finances for board members. By then, you will have established a solid foundation on which to continue building your financial knowledge house. 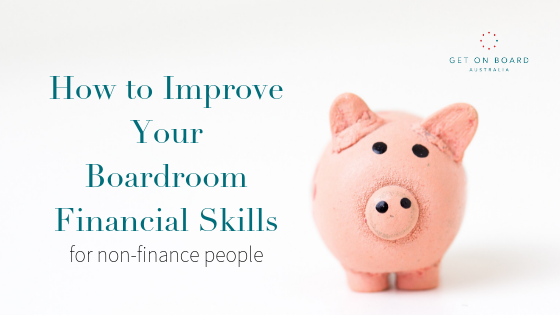 0 responses on "How to Improve Your Boardroom Financial Skills"